Background Info: This 1970s home in the Colony Woods neighborhood of Zionsville is home to a small family. 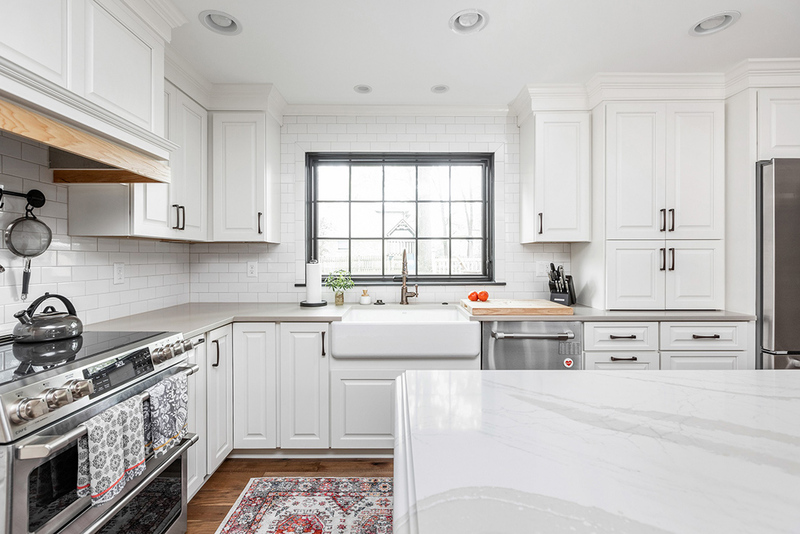 Overall, the owners loved the location but never felt like the interior of the home functioned well for them or reflected their personal taste. The focus of this project was the kitchen.It was very small and the design was dated. For similar reasons, the powder bath, laundry room and basement also needed updating. The home had never been updated, so everything inside was original. 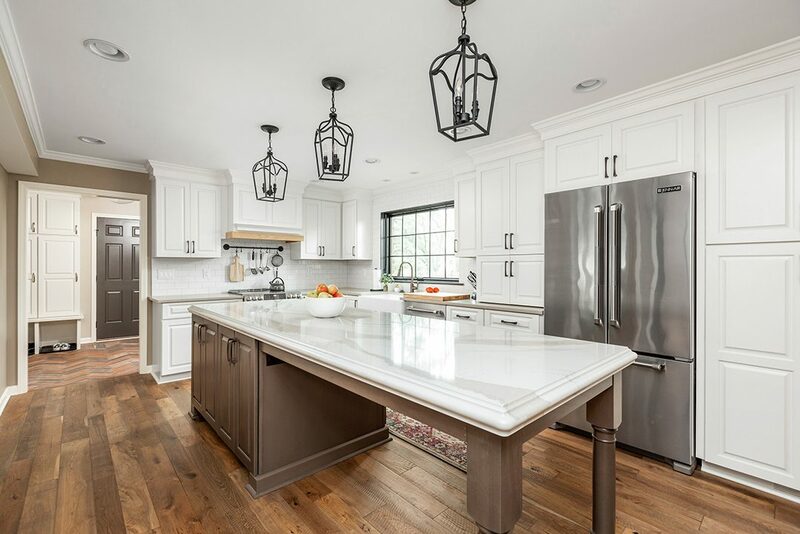 The goal was to create a space that was more functional for a family and create a design that reflected the homeowners’ personal taste. The biggest change came was removing the peninsula and expanding the kitchen into the dining area. Relocating the fridge to the outside wall of the kitchen allowed for the addition of a large eat-in island. 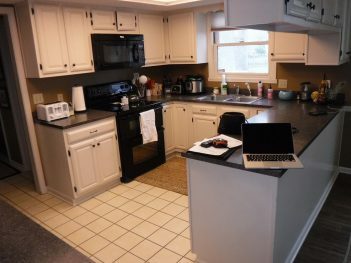 All new cabinetry and quartz countertops were added to the kitchen, giving it a more modern look. The fluorescent overhead light box was removed. Recessed and pendent lights were added to bring the space up to date. 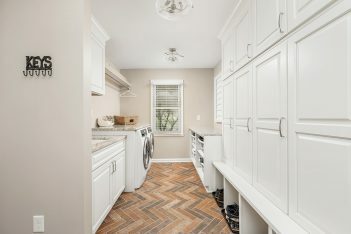 The doorway to the laundry room was opened up, creating more space to add new cabinetry, locker-style storage and more countertop space. For more details on this project, visit us on Facebook, Instagram and Houzz.